Roadworks on the A1 in Northumberland. A1, Haggerston, Northumberland: There will be overnight traffic signals northbound from Monday, April 15, to Thursday, April 18, from 8pm until 6am for CCTV inspection work. A1, Newton on the Moor, Northumberland: There will be overnight traffic signals northbound on Monday, April 15, from 8pm until 6am for patching work. A19, Silverlink, North Tyneside: There will be full overnight carriageway closures northbound from Howden roundabout to Holystone roundabout with a full closure of the Silverlink roundabout with a lane two closure southbound from Monday, April 15, to Thursday, April 18, from 8pm until 6am. A1, junction 78, Newcastle: There will be full closures of the southbound exit slip road at junction 78, Kingston Park, with a lane one closure on the main carriageway from Tuesday, April 16, to Thursday, April 18, from 8pm until 6am for horticultural works. A local diversion will be in place. A1M, junction 58 to junction 60, County Durham: There will be full overnight carriageway closures northbound from junction 58 to junction 60 from Monday, April 15, to Thursday, April 18, from 8pm until 6am with local diversions in place for drainage work. This project is due for completion in April. A19, Sunderland: There will be full overnight closures until Thursday, April 18, on the A19 northbound between A183 Chester Road and A1231 Hylton Grange for resurfacing work. The closures take place between 8pm and 6am, and clearly signed diversion routes will be in place. There will be a daytime 50mph speed limit in place for traffic running on temporary surfaces. 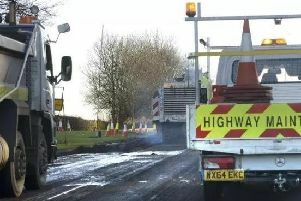 Highways England said: "This summary of planned new and ongoing road improvements was correct as of Friday, April 12, but could be subject to change due to weather conditions or unforeseen circumstances. All our improvement work is carried out with the aim of causing as little disruption as possible."